This professional squeezer allows you to have a commercial kitchen in your own home! 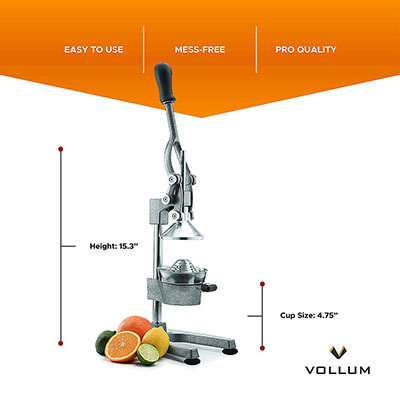 It squeezes all fruits, big and small, from limes to pomegranates. No more aching wrists from over-squeezing, twisting and turning to get a mere few droplets. No more juice squiting all over your hands and counter top, it squeezes straight into a cup, leaving you with no mess, only a freshly squeezed cup of juice! Ergonmic handle easy to hold on to while pressing down on the hand lever. 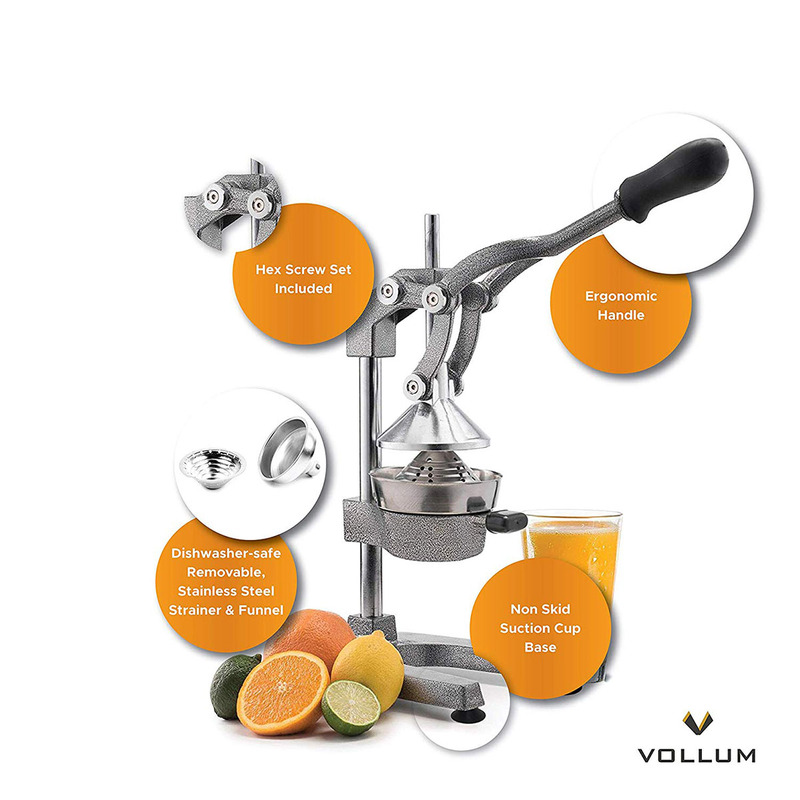 Heavy duty juicer built to withstand pressure up 2,300 PSI of pressure. All part that get in contact with the fruits are removable. Made of dishwasher stainless steel. King of the Juicers I needed to get a juicer in quickly after our last one hit the dust. 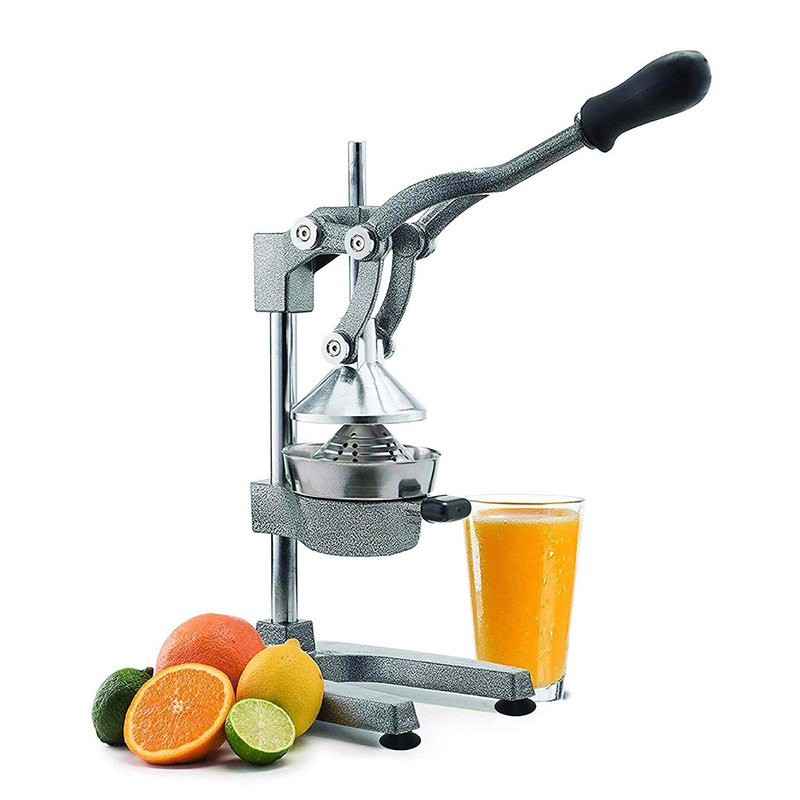 This one came in fast and it does a great job juicing. 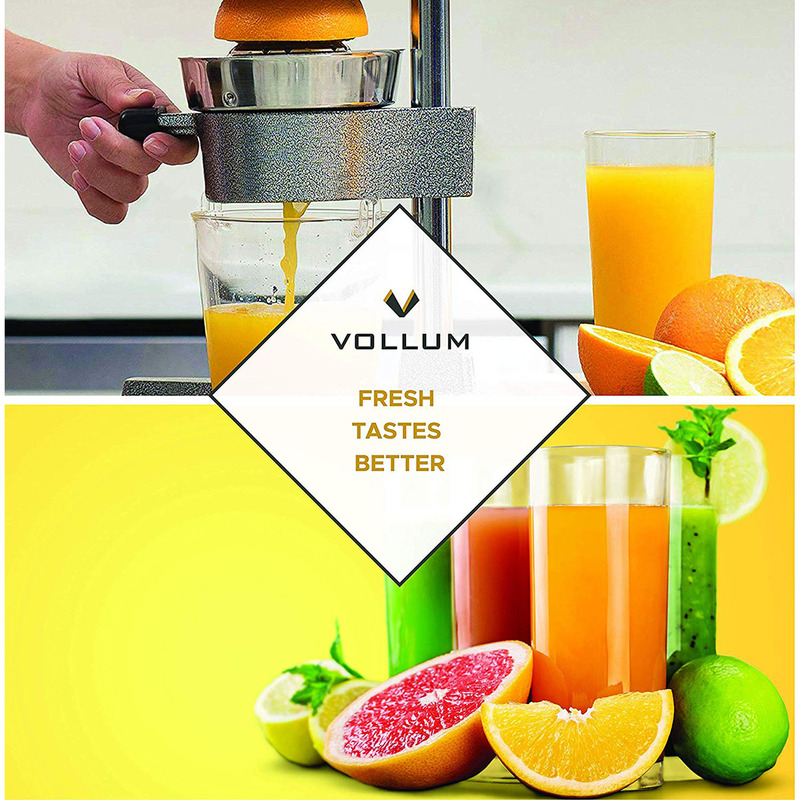 What makes it better than our other juicer is that it can be squeezed right into a cup.